Primark offers a huge variety of products at affordable prices, varying from clothing to accessories, from homeware to make up. There is something for every style and preference. Due to the popularity of their products, finding exactly what you are looking for at their physical stores can often be a challenge. Don’t miss out on awesome clothing at incredible prices, create your perfect outfit from the comfort of home. Pinga is the ideal solution to get everything you ever needed from Primark quickly and with certainty. Dreaming of adding their new Disney collection to your wardrobe or looking for some affordable beauty products? We can help you with that. Using Pinga is super easy and quick, simply download the app and send your request to our network of Pinga Partners. Our team of professionals will provide you with an immediate response, then you can clarify the details and pay, all in one place. Before you know it, you’ll be able to enjoy your Primark products. Unlike shopping online, Pinga doesn’t require a minimum order amount. You can get as little or as much as you desire, without ever feeling the need to buy extra products you don’t really want. Treat yourself to a little something whenever you wish. Your products are guaranteed to safely arrive straight to your door, quickly and simply. No long delivery waiting times or busy stores. Shopping for Primark products has never been more stress free and easy. Get started today, below you can find all the information you need to use our service and find out how it works. Your Primark delivery is just round the corner! Pinga delivers any items from Primark today. 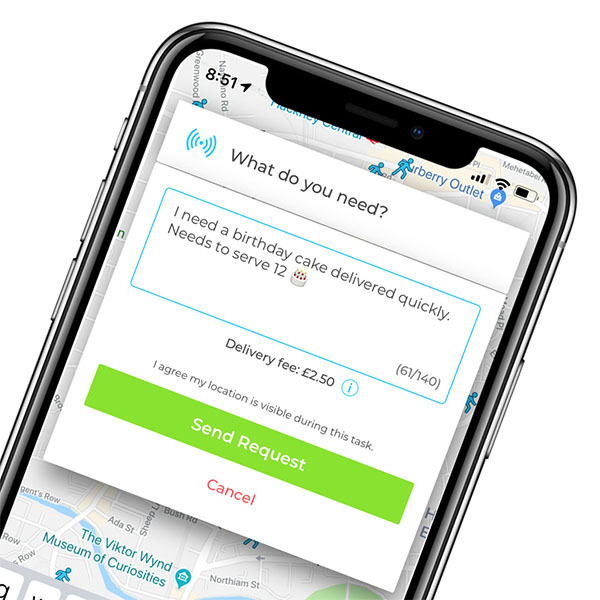 Infact our service normally delivers within an hour, so if you’re looking for same day delivers from Primark, send your request via the Pinga App. Describe what items you needs to be delivered from Primark and send your request. Pay securely within the app and receive your Primark items to your door!